You are here: Home / Emerging trends & STEM / Hey Kids: Is There A Market for Healthy Games? June 28, 2009 There’s no question healthGAMERS are exploring the opportunities of using a “perceived problem as a solution” in the gaming world. Andre Blackman of healthGAMERS addresses the vast untapped potential to leverage this sector for good in his interview with WiiMommies’ Julie Maloney of Momspective who literally put together an e-guide on how the Nintendo Wii changed her life and helped her lose 60 pounds…and a couple days ago USA Today’s Jinny Gudmundsen raved about Tap Runner as the breakout game in “Tap into a new way to play on the Wii”…so clearly there’s media traction toward benefits as of late. 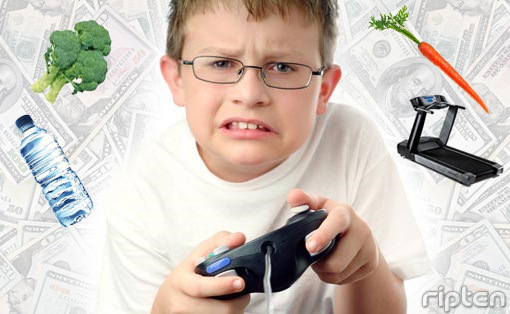 The ongoing blame game between junk food giants’ finger pointing at kids’ engagement with the $13.5 billion video gaming industry as a likely link for childhood obesity and the digital learning sphere like Joan Ganz Cooney Center (of Sesame Workshop) studying the vast potential of advancing health rather than precluding it…It leads me to the obvious question: Can we leverage the Appetite for Profit on BEHALF of kids’ health and well-being by turning the profit motive into some viable solutions? Up until now, there’s been mostly lip-service and ‘feel good factor’ associated with the public health question of kids’ leading more active lifestyles and prevention. Despite NIH and CDC interest in preventive programs and partnerships to get kids up and outside (VERB YellowBall etc.) funding fizzles before researchers can really track progress and measure results in a sustainable way. My years of branding remind me that if we want to ‘do good things’ the fastest way to jumpstart that joy juice is showing the commercial potential of healthy ventures…as evidenced by the successes of WiiFit, Dance, Dance, Revolution, as well as entire “envirolution’ movements toward kids’ yoga, greening of the planet, natural makeup and skin care and “Teens Turning Green” becoming not just a successful product line, but a way of life. I’ve always believed that ‘if wholesome sells’ the profiteers will pay it forward out of sheer greed to get in on the game, as evidenced by the success of media phenoms like High School Musical and Nintendo Wii. The trick is to ‘seed the market’ with positive choices that are unabashed fun (like the new Habitat Heroes, next week’s Panda GoodQuest on Elf Island, Dizzywood’s badges earned for doing good things etc. in the ‘tween’ space) without it being heavy-handed. So, as promised, today we’ll talk to Melanie Lazarus, MPH head honcho at the new healthGAMERS site, Director of Marketing at Archimage and health games “Monster blogger” at Playnormous, who addressed many of these challenges faced with candor in an insightful piece for Robert Wood Johnson Foundation’s Pioneering Ideas series about what’s getting in the way of bringing “serious games” to market. Melanie Lazarus (Twitter feed photo at left) has a B.S. degree in Microbiology from UT-Austin and an MPH in Health Promotion and Behavioral Science from The University of Texas Health Science Center at Houston. Melanie Lazarus, healthGAMERS:Health games use gameplay to deliver healthy messages about health-related topics. As one of the largest divisions of the emerging field of Serious Games, Games for Health have been used in almost all aspects of the healthcare system including the prevention, diagnosis and treatment of disease and disease-causing behaviors. Health games are also used specifically for medical professionals and patients as training simulators, decision-making tools and health maintenance aids. 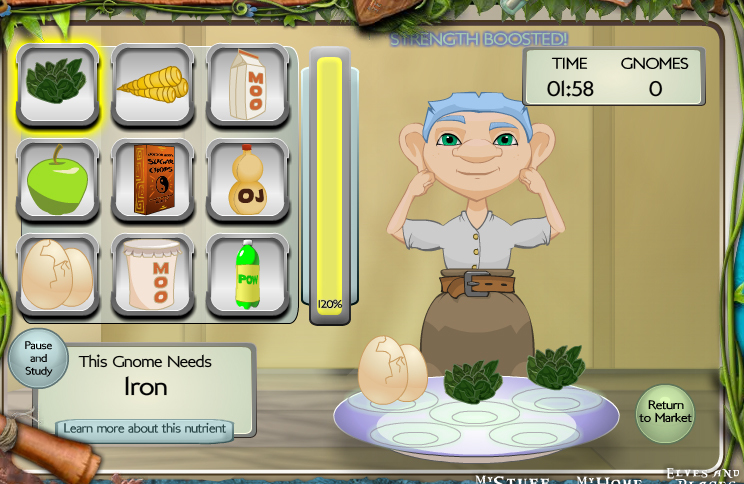 Popular examples of health games include exergames like Wii Fit, brain training games like HAPPYneuron, treatment games like Hope Lab’s “Re-Mission” for cancer patients, and prevention games like Archimage’s “Escape from Diab” for obesity and type 2 diabetes. Is healthGAMERS the hub for ANYthing having to do with health improvement in the new media “Health 2.0” realm? Melanie Lazarus, healthGAMERS: Let me try to dissect the concept of Serious Games for Health. Games for Health are technology that use gameplay as a modality for changing health…They come in all shapes and sizes and on multiple platforms. So yes, this includes casual online games, mobile apps, consoles, PC-based, virtual worlds, and simulations. Amy Jussel: So why did you decide to start healthGAMERS? What’s your ‘find a need and fill it’ value to parents, educators, clinicians and the general public? Melanie Lazarus, healthGAMERS: There’s a great need for up-to-date information on games for health, so our main goal is to educate the public about this innovative field while uniting players, researchers, developers and funders. We ultimately hope to expand the dissemination of health games and increase health game development opportunities. The games for health field is on the rise with monster groups like Electronic Arts and Nintendo joining in the exergame movement. 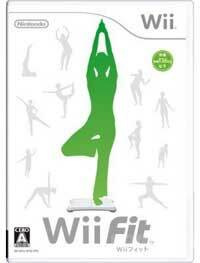 But there’s more to the field than just Wii Fit and exergaming. We felt a great need to continue educating the public about how deep this field really goes and hopefully start real conversations with people about how we can develop the industry even further. Melanie Lazarus, healthGAMERS: I would say the major difference between healthGAMERS and GamesForHealth is that we are really trying to keep our readers up-to-date from week to week. There’s a lot happening out there and people need a place to go to try to keep up. 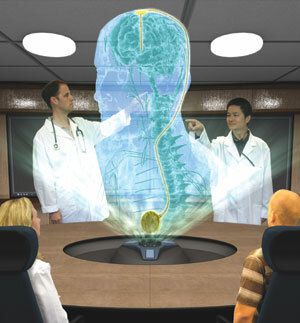 Like any other technology-based field, the health games field is moving at lightning speed. Started by Archimage, (a serious game developer and creators of big title health game titles like “Escape from Diab” and “Nanoswarm: Invasion from Inner Space”) healthGAMERS is a forum for people interested in Serious Games for Health with the intent to present multiple viewpoints on the industry by creating a multi-author collaborative. As for the Games for Change site, they focus on games that have a social agenda or are trying to illicit social change, whereas healthGAMERS focuses solely on the use of game-based technology for the improvement of health in the public. Melanie Lazarus, healthGAMERS: When I first started promoting healthGAMERS I found that the people most interested in what we’re doing were involved in Health 2.0. Those tend to be physicians, clinicians, pharma, insurance, etc. These are the distributors and buyers! I think the major problem, besides the lack of funding, is the lack of a visible market. I think there IS a market for health games, it’s just that no one has been able to figure out how to get to those individual en masse with a product backed by research and funding. …Someone with a concept, a developer, a research team or expert content provider, a funding mechanism for research and testing, a funding mechanism to go to market, a distributor/buyer, and a user/player. Amy Jussel: What is YOUR intent for uniting differing views in this sphere and what’s your criteria for being an author? Who are your current authors? Melanie Lazarus, healthGAMERS: So far, I have not found another place on the web that is trying to unite multiple viewpoints on this topic in one central location. We want to present the public with multiple perspectives on the health games industry. It has been Archimage’s experience that numerous parties are needed to create and disseminate a health game. This includes developers, funders, researchers, clinicians, public health officials, healthcare marketing professionals, teachers, students, and of course, game players. Viewpoints also vary across the globe, and we’re trying to make this an international effort as well. We’ll give examples of health games, links lists to aligned sites and give you healthy gamer lingo glossaries to make sense of it all… I’ll also toss out a few ideas where I could see this helpful forum headed…give details on their multiple authors, and show you criteria for being a contributor yourself, including kids and parents news and reviews on usability to make this community thrive. Exciting positive potential here!